On a day when we were expecting new music from Frank Ocean, Travis Scott and 2 Chainz, only one of the three promises was fulfilled, and it was the one I was quite decidedly the least excited to listen to. Nonetheless, Chainz came through indeed with a 9-track mixtape announced only 4 days before its release, and continued to do exactly what 2 Chainz does on it. 2 Chainz is an absolutely hilarious enigma of a person, and this is why people, including myself, continue to listen to his music. The musical merit itself sometimes matters very little with his work, because at times he has enough charisma and weird and wonderful ways to phrase things to carry a song solely on these aspects. He tends to ramble on about nothing in particular during some of these tracks, and it is inexplicably amazing. His pre-song explanation of the ridiculous concept of “Chirp” — that he needs an alarm to go off every time someone attempts to take his style — is a joy to behold, and the fact that one of the best songs on the project containst a chorus constructed of Chainz poorly imitating the sound of a phone alarm speaks volumes to his goofy charm. 2 Chainz might rely on the placement of memorable quotables more than any other rapper. That being said, when listening to a full project, the lack of musicality or technical ability from Chainz becomes incredibly apparent and impossible to ignore. Chainz’ features have all been quite enjoyable recently, most notably his contribution to Chance the Rapper’s “No Problem”, and this project makes me realize that it truly is because 2 Chainz exists as more of a complementary joke to enhance a song briefly than an actual standalone artist. 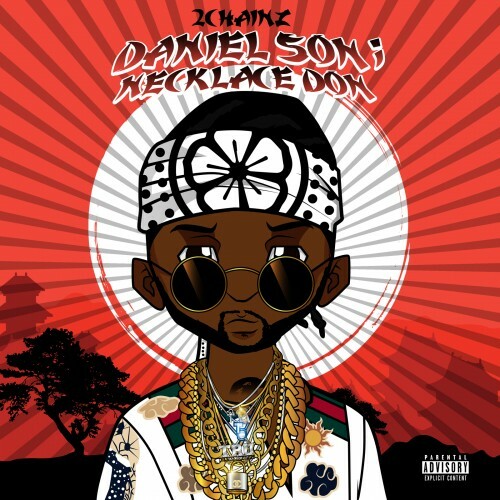 This isn’t necessarily as bad of a knock on Chainz as it may sound — sometimes a song can benefit greatly from someone like Chainz bounding all over a song like a court jester for 45 seconds. But when a wildly inconsistent rapper like Drake appears on “Big Amount” and delivers a mediocre verse in comparison to the rest of his arsenal, he still manages to sound leaps and bounds more technically sound, professional and experienced than Chainz (who has been in the game longer). Something is a problem with the formula. The aforementioned problem with the level of musicality present on Chainz’ music is actually much less apparent on this project; many of the beats are surprisingly strong. The piano-influenced woozy trap beat of “Ounces Back” would be incredible if it were utilized by a rapper who had the capability to do more than stumble headlong overtop of it, offering up the odd “Imma get married at Benihana’s!” Drake’s verse on “Big Amount”, a song that features a very interesting beat which almost verges on the rising tide of tropical EDM music, shows what happens when some of these above-average rap instrumentals are given to someone who knows what to do with them. All in all, Chainz’ music suffers from one major overriding flaw no mater how much his ridiculous bars bring a smile to my face. This flaw is that the music is incredibly forgettable, which it really should not be for such an enigmatic personality. Chainz’ inability or lack of care to vary his flows and over-the-top repetition (We get it Mr. Chainz, many things in your life are a blessing) blends together songs that are actually quite different. The listener is bored to death even on a tape offering classic Chainz-isms like “I just told myself…’Self, I need a new bracelet'”. One wonders what an alternate universe version of Chainz who put in the slightest iota of effort to make his music actually sound good would produce. In the universe we live in, however, this 2 Chainz should just stick to features.